Mexico has a really fascinating and totally unique mix of cultures. In the last time experienced an economy miracle based on oil industry, supporter of the modern cities. And yet, sometimes, still looks like a Spanish colony and even if passed 500 years from the conquest of the New World, the indigenous culture remains pervasive. You can see many aspects of diversity of the country in only one street. The traditional markets changed very little from the discovery of America and grow in the shadow of the massive colonial churches and the skyscrapers. Teenagers are running on skateboards listening to Spanish rock among venerable ladies wearing colorful blankets on their shoulders. 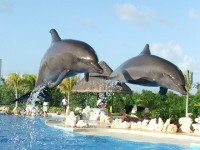 Today we are going to present the top 5 tourist destinations with culture in Mexico. With its artistic, cultural or culinary reputation the capital of Mexico attracts more than 12 million visitors each year. The city has a diverse lifestyle and culture, with many things to be discovered within its historical buildings, museums, markets and art galleries. It is the home of first class hotels, business and convention facilities, restaurants and places of traditional artistic performances. Among the notable tourist objectives we mention the colonial districts od San Ángel and Coyoacán and the adjacent archaeological area, Xochimilco. Mexico City has a busy schedule throughout the year, from dance, music, film festivals and exhibitions at art exhibits and a charming shopping district. The Mexican State of Jalisco is one of the top 5 tourist destinations with culture in Mexico It is the home of the mariachi music and the tequila drink and offers strong flavors of the authentic Mexican culture. Guadalajara is the cultural capital of the central part of Mexico and in the historic center of the city you will find the famous Plaza de Armas, the Metropolitan Cathedral, the Hospicio Cabañias that is a UNESCO site and the Rotunda of the Homres Ilustres. In Jalisco you can also discover the settlement of Tequila and its surroundings consisting of agave fields, also listed between the protected objectives by UNESCO. While many tourists choose to visit the coast of Mexico, the central part of the country offers a vast cultural experience. Guanajuato, the capital of the mountainous state attracts many visitors with its large number of museums and mines inside and outside the city. 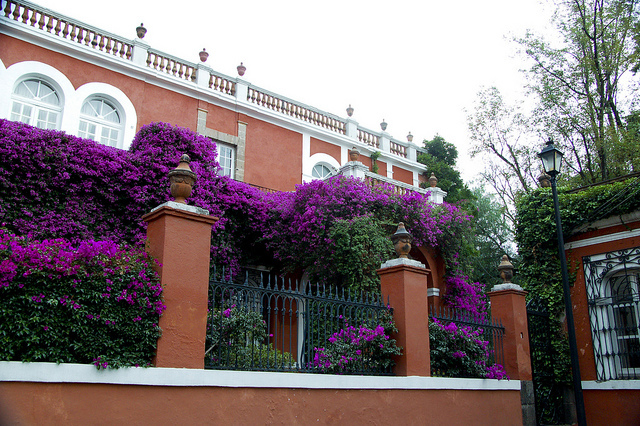 Querétaro has a flowering musical and art scene and its old part can be perfectly explored on foot. 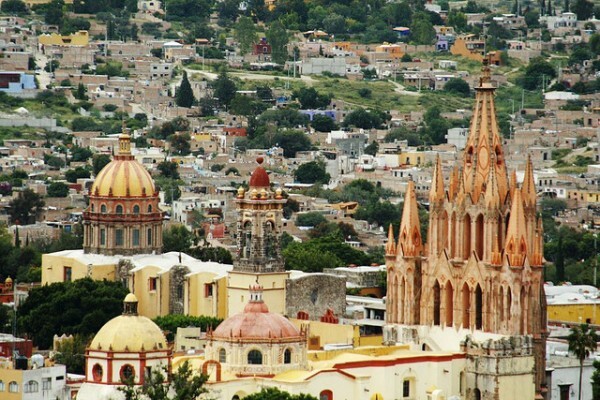 San Miguel de Allende is recognized as a cultural center in the central part of Mexico and is home pf a large number of American and Canadian expatriates. Tourists can visit the many art schools and historic buildings including the Casa de Allende Museum and the birthplace of Ignacio Allende. Central Mexico is one of the top 5 tourist destinations with culture in Mexico and the three cities mentioned above are on the list of the protected objectives of the UNESCO. Famous mainly for its historical and archaeological sites, the State of Yucatan attracts tourists who want to explore the Mayan culture of Mexico. 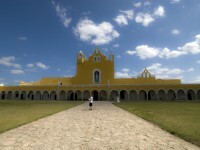 Mérida, the capital of Yucatan is called the “White City” and is one of the top cities with culture in Mexico. 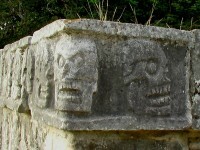 It is the starting point for all Mayan routes to the neighboring sites of Chichen Itza, Ek Balam and Mayapan. While the ruins at Uxmal are less impressive than those found at Chichen Itza, they reveal a more detailed, different style, which travelers appreciate almost equally. Many of the tourists visit the region because of the culinary experiences influenced by the Mayan style of cooking. San Cristobal de las Casas is a famous cultural tourist attraction of Mexico. 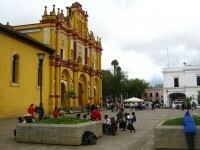 It is a city with over 200,000 inhabitants and it is the capital of Chiapas. The city has preserved hundred years old houses, cobbled streets and colonial buildings, the most densely concentrated around the main square called Zócalo. Surrounded by dozens of Tzotzil and Tzeltal villages, San Cristobal is one of the most indigenous settlements of the country and a good starting point to explore the whole region of Chiapas, the southernmost state of Mexico.